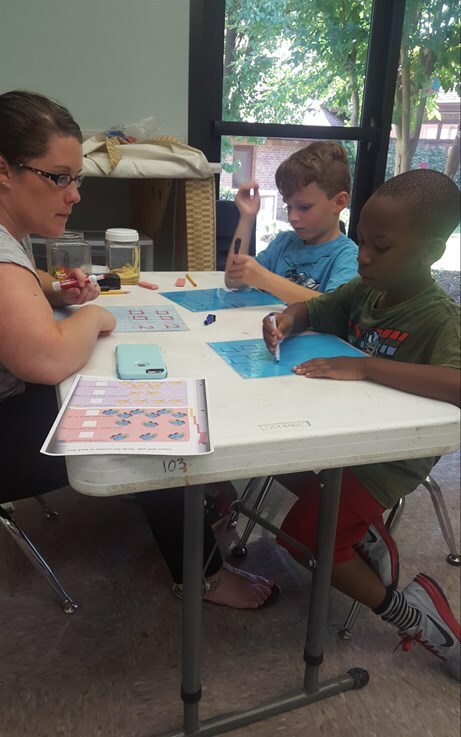 The BTG 2nd/3rd grade classroom is designed for children 7-9 years old (age as of September 1) who will benefit from an intensive classroom experience. The principles of ABA are used to prepare children for future classroom placements, by teaching skills such as choral responding, following group instructions, following conditional instructions, and transitioning appropriately. BTG classrooms also participate in regular field trips to community locations throughout the year. The focus of the BTG 2nd/3rd grade classroom is to continue the foundation of group and social skills established in Kindergarten, while expanding those skills to include consistency with classroom routines and academic performance. Amanda "Mandy" Childs has been with Hope & BTG since June 2018. Mandy is an alumna of Winthrop University where she received a Bachelor's of Science in Elementary Education. During her time at Winthrop, Mandy worked as a Line Therapist for school aged children in 1:1 home and clinical settings. Before joining the BTG team Mandy worked as an elementary school teacher for three years. In her free time Mandy likes to hike, paint, and read. She also enjoys traveling and is determined to visit 6 of the 7 continents (Antarctica didn't make the cut).